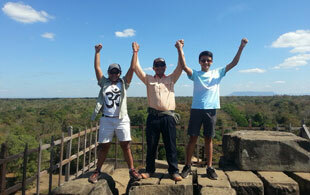 Welcome to Cambodia and Siem Reap the home of the Angkor, a UNESCO World heritage site and the centre of the ancient Khmer empire. 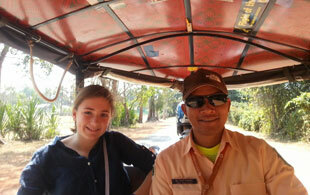 My name is Poy Pines I am a tour guide with 10 years experience in the Cambodian tour service and management industry. 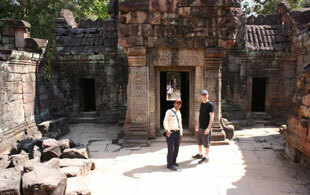 My team and I have extensive knowledge of the local area, the people and the history of the Angkor complex. I was born here. This is my beloved home. 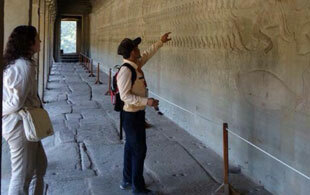 Our expertise can provide you with an opportunity to learn about our Khmer heritage experience the extraordinary array of Angkor temples facilitate many other magical experiences in this unique part of the world. There are rustic markets, floating villages, the largest fresh- water lake in Southeast Asia, bird parks cultural performances, and so much more. The temples can be just the beginning. With our trustworthy and experienced service, our clients relax into knowing they are in good hands. If you select us, we will organize and manage your tour, large or small, providing with a hassle-free service that seeks to ensure awe-inspiring experiences of one of the most spectacular sites on earth. 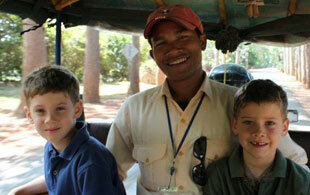 From one-day to weeklong tours, in English or Cambodian, we are full-service and take care of every detail. 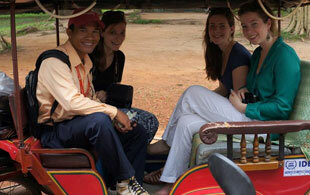 We arrange guides, transport and accommodation if needed. 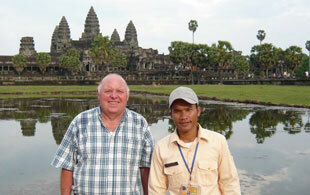 Our tours include all the major attractions of the Angkor temple complex, or can be custom-designed specific to your interests or needs tours off-the-beaten-path and special day-trips to other places of the interest can be organized separately or as part of packages. Please feel free to contact us with further enquiries. We are here for you.